How did Alta Motors drop its price by 30 percent? It’s been almost a decade since the first modern-day electric dirt bike, the Zero Motorcycles X, whirred onto the U.S. market. With a top speed of 57 mph and a range of just 40 miles per charge, it was difficult to convince the traditional dirt bike crowd of electric’s benefits, especially with a price that came in almost $3,000 more than its gas-powered equivalent. Yet Zero persisted. And today, it’s the dominant U.S. player in e-motorcycles, even if the market for electrics remains just a fraction of a single percent of sales. 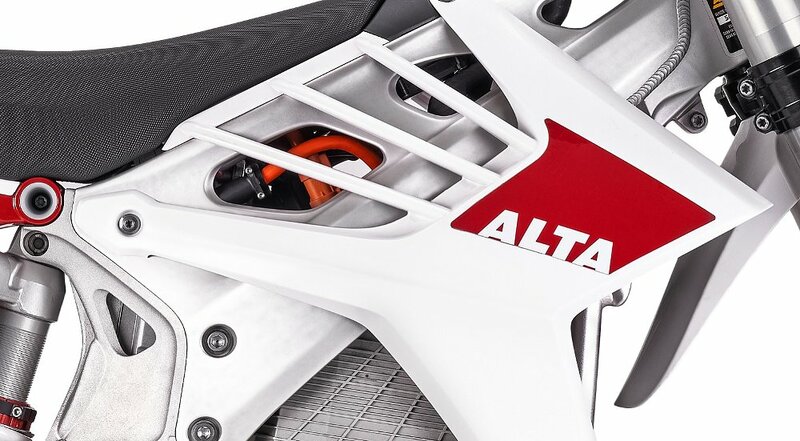 Now Alta Motors is ripping a page from the Zero playbook, hoping to find a market in the dirt and nudge e-motos into the mainstream with a bike that’s gunning for KTM and Husqvarna in both performance and price. The 2018 Alta MX is 30 percent cheaper than the 2017 model. Alta Motors photo. One year after the Bay Area startup introduced its Redshift MX for a steep $14,995, the MX is back with an upgraded 2018 model that cuts the price by 30 percent, to $10,495. Alta also lowered prices on its other two models. For 2018, the EX enduro model costs $12,995, down from $15,545, and the street-legal SM supermoto lists at $13,495, down from $15,500. “We want our bikes to be accessible to as many customers as possible,” said Alta Motors co-founder and CEO Marc Fenigstein in an interview conducted before yesterday's announcement about a partnership between Alta and Harley-Davidson. No matter how long you can hang upside down, no danger of gas seeping out. Nate Adams demonstrates on the 2018 Alta MXR, which increases horsepower to 50 (claimed) and torque to 147 foot-pounds. Alta Motors photo. If the question is how Alta was able to reduce its pricing so quickly, the short answer has two words: venture capital. Last summer, the Brisbane, Calif., startup received a $27 million equity investment from Grassy Creek, LLC. And that investment allowed Alta to invest in its supply chain and manufacturing operations to move down the cost curve. The investment by Grassy Creek was used to improve manufacturing efficiency, leading to lower costs for the consumer. Alta Motors photo. Two views of the Alta EX. Yes, it has lights and it's $2,550 less expensive this year. Alta Motors photo. Alta invested in new equipment. It made larger purchasing contracts. It refined manufacturing processes. And it worked to improve the yields from its suppliers. 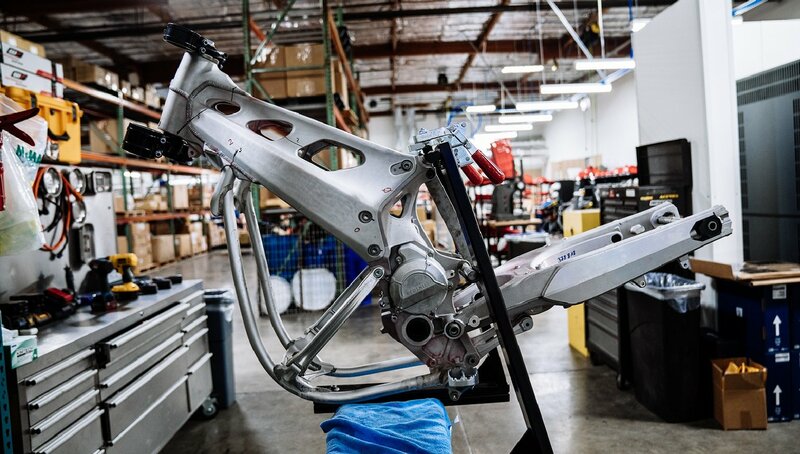 Of the 550 parts on the MX, Alta systematically went through almost every piece to make sure suppliers were meeting their quality standards. For some parts on the 2017 model, Alta was rejecting up to 50 percent of a parts order, Fenigstein said. Unlike electric cars, the radical price drop on the MX is not due to dropping battery prices, Fenigstein said. The cells themselves are only half of the battery pack. The rest of it — the systems that make that battery safe and reliable and able to deliver the right power at the right temperature — is where Alta was able to eke out savings. And to pass on those savings to buyers in the form of a lower price. One milestone for Alta Motors was Josh Hill racing a Redshift MX against internal-combustion motocrossers in the 2016 Red Bull Straight Rhythm race. Alta Motors photo. “Once new technology is at performance superiority and price parity, electric has the potential to displace all the market leaders in the combustion space,” Fenigstein said. “That’s what we’re first trying to achieve with these performance off-road and dual-sport bikes. And now, for the 2018 Alta Motors MX, at least, a lot less expensive.